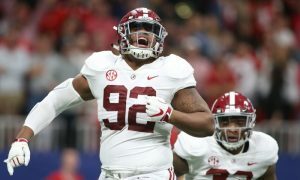 A bunch of freshmen made a huge contribution in the University of Alabama’s run to a national championship in football in 2017, and it seems like the same thing will happen again. 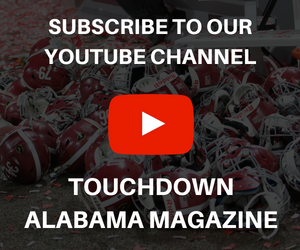 Quite a few young players from the 2017 (redshirt) and 2018 recruiting classes have made a difference this season and according to the Southeastern Conference front office on Thursday, four players from the Crimson Tide made the league’s All-Freshman Team. Jaylen Waddle, a five-star from Houston, Texas, has been an electrifying receiver since he arrived on campus to start fall camp. He was given the nickname “human joystick” and all involved in both local and national media understand the reason. The 5-foot-10, 177-pounder possesses an extra gear that frustrates defenses. Through 13 games, Waddle stands at 803 yards receiving with seven touchdowns on 41 catches. 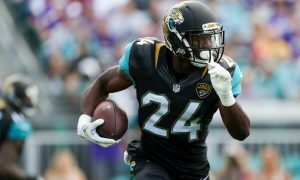 He has turned in 100-yard performances versus Louisiana (138), Tennessee (117) and Georgia (113), with his best working coming in the SEC Championship Game against the Bulldogs on last week in Atlanta. 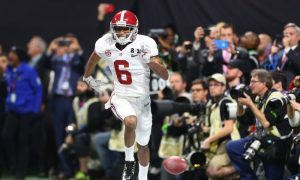 His 51-yard catch and burst to the end zone in the second half cut Georgia’s lead to 28-21, putting the Tide back in the game. Waddle’s won Freshman of the Year honors from the SEC as he leads all freshman in receiving (61.9 ypg) and is fourth in the conference in yards per catch (19.6), while leading the SEC in yards per punt return (15.1). He has one punt return touchdown. 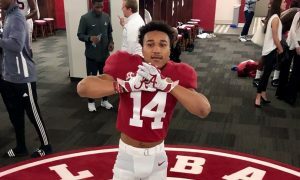 Patrick Surtain II, a five-star from Plantation, Fla., drew comparisons to former Alabama safety Minkah Fitzpatrick upon his arrival in the summer. 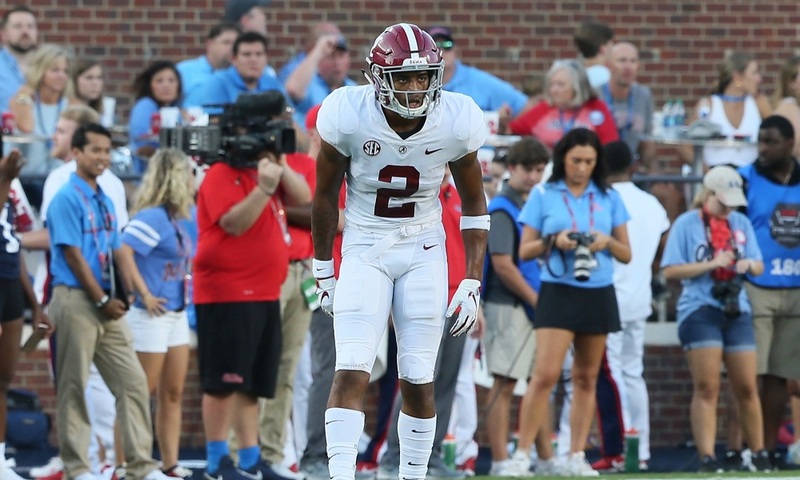 Surtain has served as an elite cornerback, posting 33 tackles, 1.5 tackles for loss, one quarterback pressure, one forced fumble and one interception. His size (6-2/202), technique and ball skills have made him one of the least picked on defenders in the SEC – regardless of him being a first-year starter. 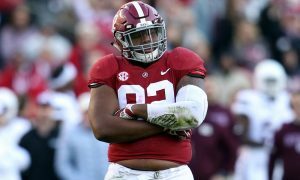 Phidarian Mathis, a four-star from Monroe, La., comes in a long lineage of talented defensive linemen at Alabama under Nick Saban. The 6-foot-4, 310-pounder totaled just 16 tackles, but his productivity was enough to make the All-Freshman Team. 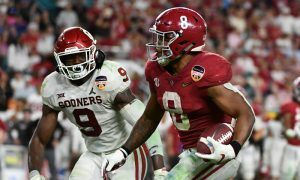 After using last season to redshirt, fans can expect to see him make a huge impact in the upcoming College Football Playoff. Eyabi Anoma, a five-star from Baltimore, Md., has the potential to be the best pass rusher of the Saban era and probably the greatest edge rusher in school history since Derrick Thomas. Listed at 6-foot-5 and 245 pounds, Anoma was able showcase a little of his athleticism and strength in the regular season. 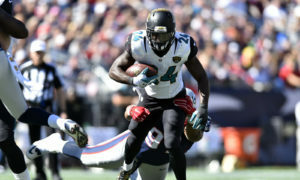 He collected nine tackles, including two for loss with one quarterback pressure through 11 games. Like Mathis, Anoma is another one to watch versus Oklahoma in the CFP as the Tide tends to put more young guys on display in these moments.